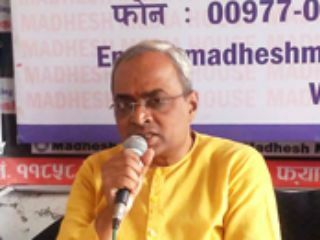 Bhopal : There cannot be something like ‘Sarva-Dharma-Sama-Bhav’. One, who belongs to this country, is our man. One, who doesn’t belong to this country, is not our man. 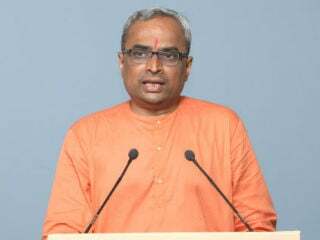 We will have to practise what our Dharma preaches; say the truth and be loyal to the country, stated Acharya Mahamandaleshwar Swami Purnachetanananda Giriji (earlier known as Sadhvi Pradnyasingh Thakur) of ‘Bharat Bhakti Aakhadaa’. 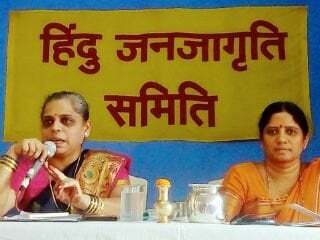 ‘Dharmarakshak Sanghatana’ had organized 4th ‘Madhya Bharat Hindu Convention’ at Sant Hiradaram Nagar, Bhopal on 9th and 10th March. She addressed during the concluding session of this Convention. Sadguru (Dr.) Charudatta Pingale also attended the Convention. 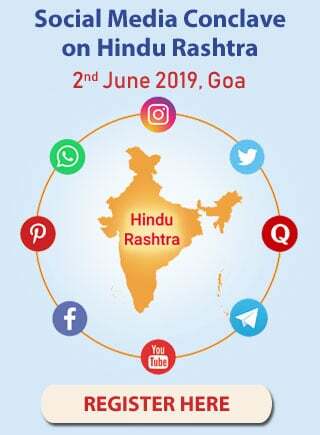 There were 70 activists and representatives of pro-Hindu organizations from Bhopal, Sivani, Jabalpur, Indore, Vidisha, Sagar, Burhanpur etc districts who attended the Convention. Shri. 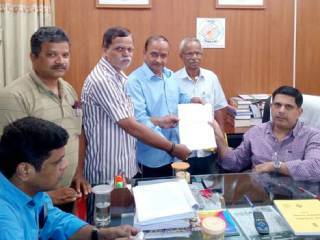 Dinesh Gandhi (Burhanpur), regional President of ‘Akhil Bharatiya Hindu Mahasabha’, Shri. Jitendra Thakur (Indore), regional ‘Mahamantri’, Shri. Atul Jeswani (Jabalpur), regional President of ‘Hindu Seva Parishad’, Shri. Abhay Pundit, Shri. Yogesh Parmar; Shri. Vishal Purohit, regional security-Chief of Bajarang Dal, Shri. Jitu Kataria, Shri. Karan Singh, Shri. Maruti Nandan, Shri. Vikas Kasole, Shri. 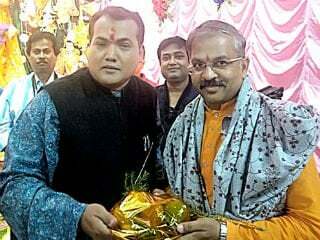 Anand Jakhotia, State Coordinator of Hindu Janajagruti Samiti for Madhya Pradesh and Rajasthan, Shri. Shriram Kane; Sanatan Sanstha’s Shri. Girish Agarkar, advocate Bharat Tomar etc addressed the Convention. ‘Kathavachak Rashtra-Sant’ Dr. Tarun Muraribapu said while addressing inauguration session of the Convention that Bharat was earlier undivided but owing to our weakness, it was split later. Now, it is time to change our attitude. It has been 71 years since India got independence; but why Hindus don’t have any right under Constitution of this country? Why laws banning cow-slaughter, conversions were not passed though Hindus were in majority? We got freedom; but our system of governance was not followed. Hindu way of governance should be established in Bharat for world peace. 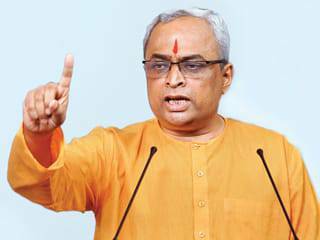 Today’s youth should come forward for establishing Hindu Rashtra in Bharat. Today, fanatics like demon ‘Tadaka’; Christians like demon ‘Putana’ and communists like demon ‘Shoorpanakha’ are attacking ‘Hindutva’. There is no provision under Constitution for protection of Dharma. Therefore, Hindus’ interests are not taken care of through rulers. 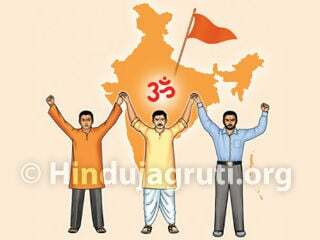 All pro-Hindu organizations should unite in prevailing situation and work together for establishing Hindu Rashtra. Kowtowing has become Dharma of political leaders. There is discriminatory appeasement in this country which is wrong. There is need to create pressure-groups for welfare of nation who will make the Government work for welfare of nation and Dharma. Bharat is a nation of ‘Narsimha’. Even today, wherever there is recruitment of armed forces, there is lot of crowd and stampede for joining which shows that Indians are a warrior clan. Mahabharata or Ramayana are not love stories but they are stories of wars. We should remember such valiant history now for establishing Hindu Rashtra. ‘Sundar-kaand’ of Ramayana teaches how to relieve a girl who is caught in the net of ‘love jihad’. ‘Hindutva’ is used for selfish interests; so youth should come forward for establishing Hindu Rashtra.